Here is a great case study on Persistence and Never Giving Up. 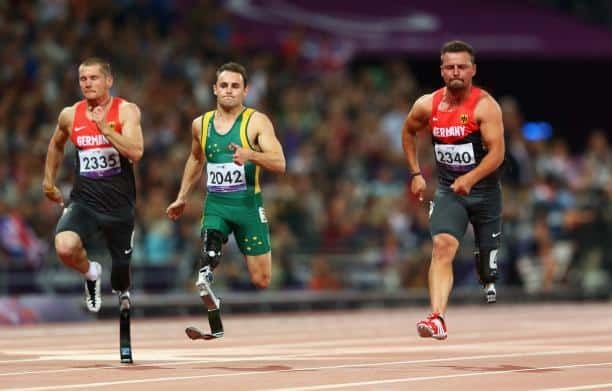 It involves Scott Reardon, a T42 Paralympian and his amazing progress from 2008 to 2014. Take a look below at his first attempt in 2008. This is a great case study as you can clearly see the improvement made over the past 6 years. 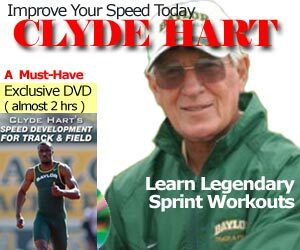 Just by studying the raw video footage, we can see where he improved, and this applies to any able bodied sprinter, not just paralympians. Hip Support and Vertical Displacement. As he gets stronger over the years, he’s able to support his body at ground contact and not “collapse”. Ground Contact. Note from his early years he takes a longer ground contact, which quickens over the years. Cadence or Turnover. Don’t look at his legs, but rather, look at his hips and upper thighs. As Frans Bosch would say, “Whip from the hip“. After he makes ground contact, his lower limb is set for the next ground strike so that he lands directly under his center of mass. Watch the video frame by frame and you’ll see. Greater Force at Ground Contact (specific application of force). As the years goes by, you can see the power in each stride coupled with the hip strength. Be sure to go to Scott’s Facebook page and click “Like”.